Firefox 63 to its userbase. 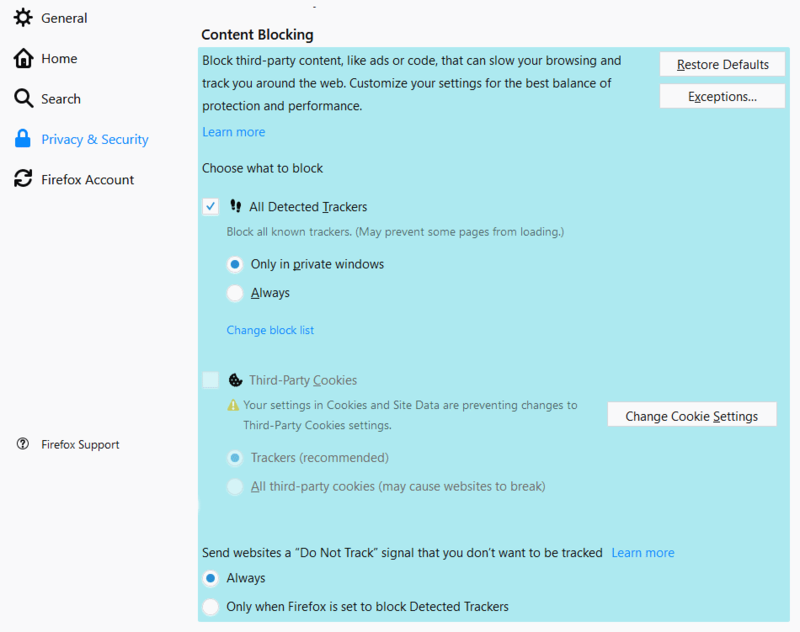 This release comes with many new features, but the biggest is the overhauled Tracking Protection feature that Mozilla first added to Firefox a few years back. * The build infrastructure of Firefox on Windows has been moved to the Clang toolchain, bringing important performance gains. * The Firefox theme now matches the Windows 10 OS Dark and Light modes. * WebExtensions now run in their own process on Linux. 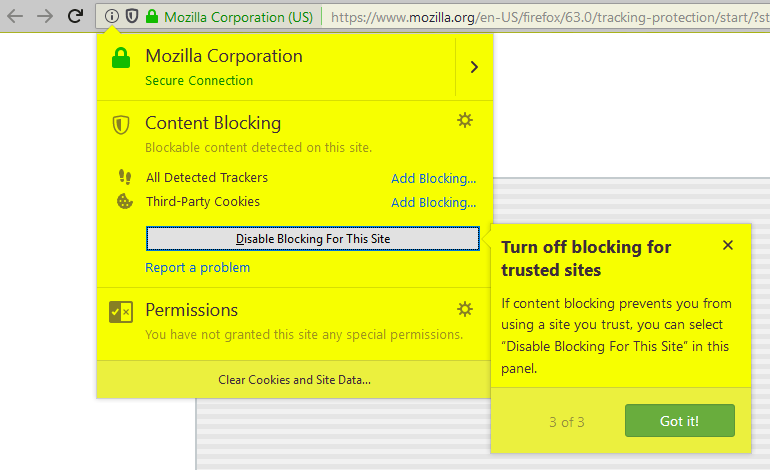 * Firefox now warns about having multiple windows and tabs open when quitting from the main menu. * Firefox now recognizes the operating system accessibility setting for reducing animation. * Firefox 63 comes with search shortcuts for Top Sites. Amazon and Google appear as Top Sites tiles on the Firefox Home (New Tab) page. When selected these tiles will change focus to the address bar to initiate a search. Currently in the US only. * Firefox for Android supports Picture-in-Picture mode.